There are currently a wide range of nanopharmaceutical products in development across Europe, however very few nanomedicines have been manufactured. The quantities required for clinical testing studies are modest, from 10 to 100 grams, but it does not fit easily into existing manufacturing plants. Many innovative SME’s do not have the resources to carry out the testing they need. The development, scale up and manufacturing infrastructure and supply chain is not in place, or accessible. A greater understanding of how nanomedicines work within the body is required to navigate through a complex regulatory environment. 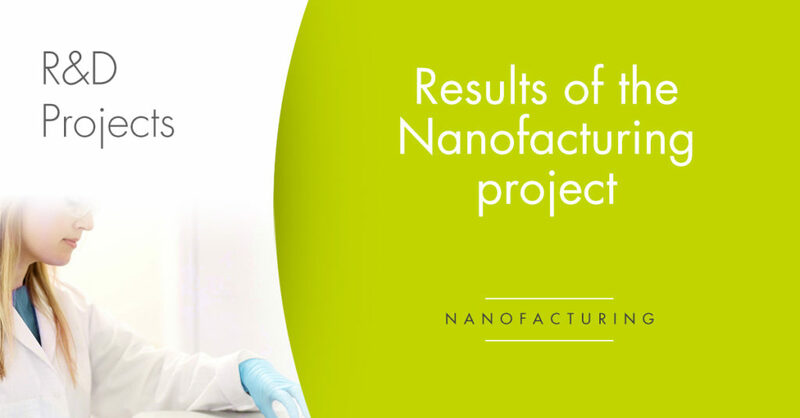 The project focused on the scale up of glycan-coated gold nanoparticles, the latest generation of nanomedicines, and has designed and built pilot manufacturing facilities for the production of nanopharmaceuticals being developed in Europe. It aimed to address the small and medium-scale needs of early phase clinical trials and niche applications, to tackle the bottlenecks in the delivery of these medicines to the market. Furthermore, it supports later stage products with large potential markets, by developing clinically compliant, and sustainable, large-scale manufacturing processes capable of taking these products through to commercial manufacture and supply. The Nanofacturing project has successfully combined experts from a number of European organisations to develop an open-access pilot line, for use by companies throughout Europe, and a commercial batch process that operates under sterile conditions together with specialist analytical capability and custom ligand synthesis. GalChimia leaded one of the work packages of the project, aimed to the scale up of ligand manufacture and the synthesis of new ligands to enhance and expand the applications of the gold nanoparticles. The goals of the work package have been achieved, with the successful synthesis under GMP conditions of the two initially selected ligands and the preparation of new compounds in quantities of hundreds of grams.